The presence of nanoparticles in coatings represents a remarkably innovative application of nanotechnologies, meeting the requirements of environment protection. The dimensions of the coatings are between 1 and 100 nanometers and the material handling permits to attain different properties, new and improved, compared to those of massive materials. Nanometric coatings are durable and invisible; they allow elastic deformations and, in some cases, also plastic ones; they can be applied on almost any material, from metal to polymeric alloys and shape. Today the nanotechnology coatings are widely-spread and able to provide various functional characteristics to the treated surfaces. The most common are the resistance to corrosion, the easy to clean, the oleo-repellence, the anti-scratch, the anti-fog, the anti-bacteria; they also apply to anti-fingerprint, the anti-graffiti, and also anti-counterfeiting. The most popular technologies for creating nanocoatings are the so-called PE-CVD coatings and sol-gel coatings. PE-CVD, or Plasma Enhanced Chemical Vapor Deposition technology, is relatively cheap and efficient; the coatings can be used on any kind of substrate, from metals to ceramic or polymeric materials. PE-CVD processes are environmentally friendly and they allow obtaining uniform and adherent coatings, easily adapted to different shapes, having specific properties such as anti-corrosion, anti-adherence, anti-wear, anti-scratch, hydrophobicity and so on. 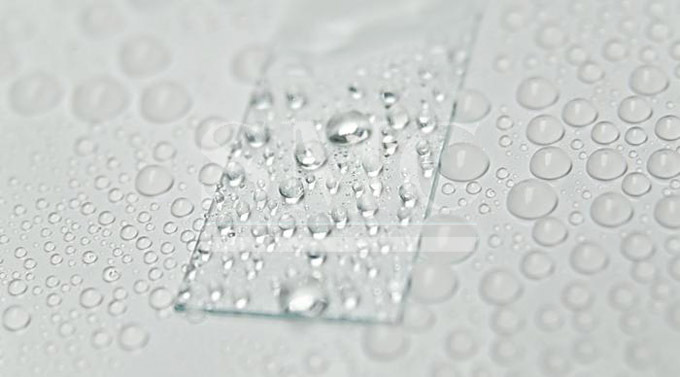 The sol gel technology allows attaining coating films applicable on all substrate types, according to the sol gel used. In particular, the industrial applications of sol gel coatings can concern hydrophilic and self-cleaning surfaces, anti-bacteria surfaces, fabrics with release of essences and medicines, anti-scratch surfaces and so on. Nanocoatings have undeniable advantages compared to conventional ones. Some of the these properties are low thermal conductivity, increase of hardness, fracture toughness, independence between toughness and hardness, improved resistance to wear and to corrosion, in addition to the radiation scattering increase.